The star of "Noche Buena" is definitely the Ham. I want to buy my ham without any false promises and extenders this Christmas. 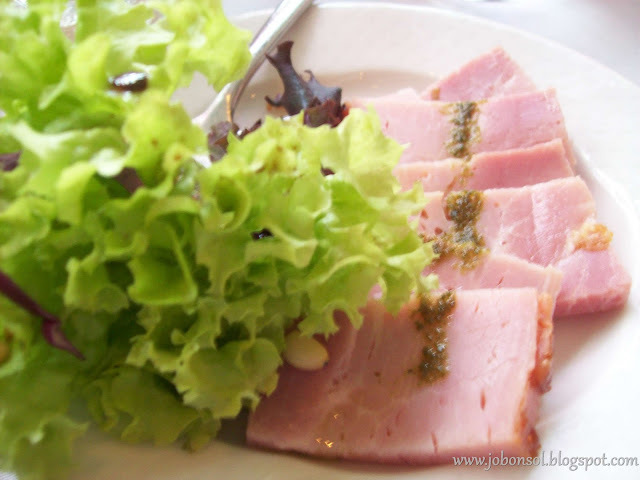 CDO, makers of best quality hams and processed meats introduced the CDO Premium-Cut Holiday Ham yesterday at Felix Restaurant, Greenbelt 5, Makati City. CDO Holiday Ham is made from one whole boneless meat from the hind leg of the pork -the best cut of pork for hams. Hind leg ham is tastier and meatier compared to the more common shaped hams. 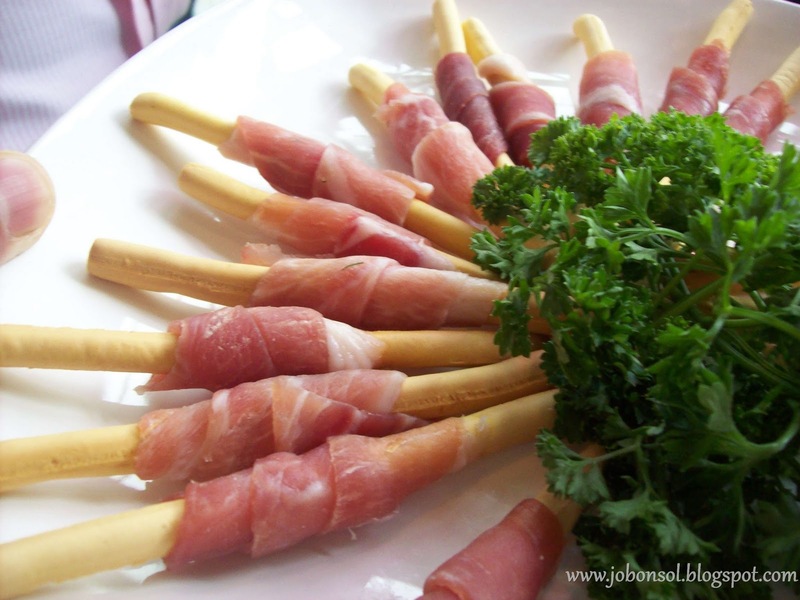 Shaped hams are already processed and although brands would use meat from the other parts of the pork, nothing can beat the goodness found only on the hind leg of pork. This ham is a high-quality smoked ham with net marks to attest its class. Pieces would fall off if hams were smoked from non-whole meat. 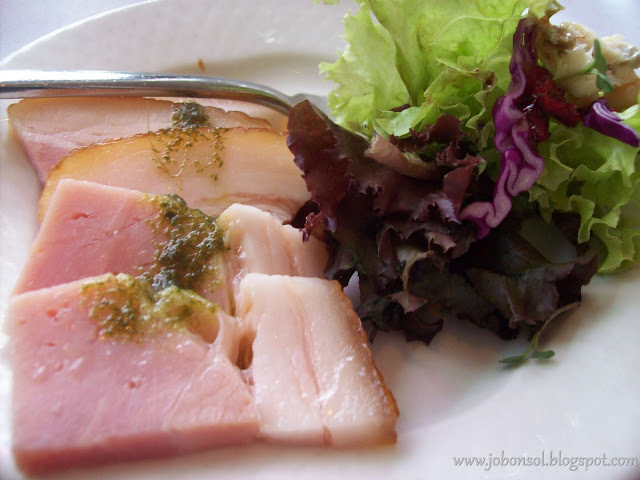 The best thing about this ham is that it has no extenders so the appearance, taste and texture is guaranteed fresh and nutritious. CDO Holiday Ham is meaty, juicy, and flavorful, and consumers really get the best value for their money. I got used to the usual recommended hams for Christmas and after I've tried the Holiday Ham, I guess I'd definitely switch my preference to CDO Premium-Cut Holiday Ham. The thin fat on the sliced hams is actually sweet and tasty. I think I'd prefer to get this as a Christmas gift this season. 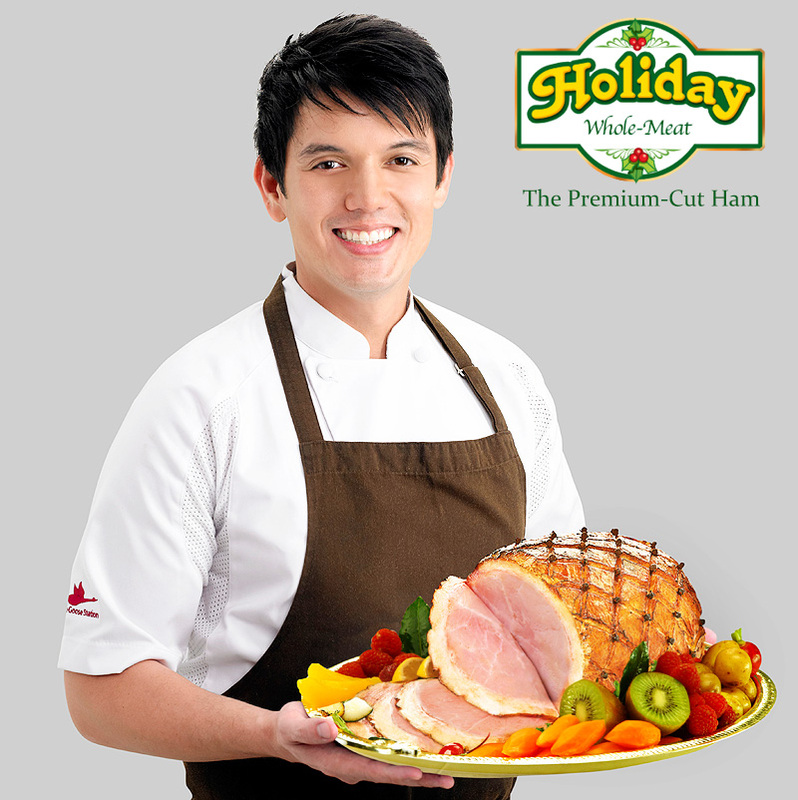 I learned a lot of ways to prepare this Holiday Ham as demonstrated by Chef Rob Pengson. The event showed how to examine a great quality ham and taught recipes using the Holiday Hams for Christmas eve. Make CDO Premium-Cut Holiday Ham your Yule Ham this season because you want your ham to be a cut above the rest. 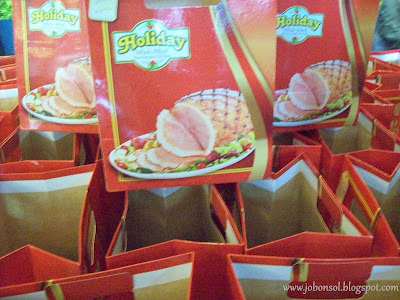 Learn more about Holiday Ham on http://holidayham.com.ph. ‘Like’ it on Facebook http://goo.gl/CAqCv. To make the holidays a cut above the rest, Holiday Ham will be giving out an Apple iPad tablet computer. Interested parties need only to register with their name, Facebook page URL, mobile phone number, and email address. It’s that easy! The registration is on the Holiday Ham website http://holidayham.com.ph/subpages/promo.aspx and is open until December 20, 2010. 3.Event: WaterPlus is more than just water! 4.Event: Bounty Fresh Chicken commits to offer healthy food choices; wins 2010 Entrepreneur of the Year award! 5.Event: Kraft Cheez Whiz's Palamantasan finals! 6.News: The White Hat Italian Frozen Yogurt now offers THE ITALIAN HAT! 7.Give yourself a jelly break with New Nestle Fruit Selection Yogurt with Jelly! 8.Event: Real Leaf and Real Honey is a perfect pair like Enchong Dee and Erich Gonzales! 9.Event; Mentos partners with SM Cinemas! 10.Update: Tiger Energames Grandfinals Winners!